Description: Eucalyptus is a stimulating & refreshing essential oil. It is used externally for inflammation, muscle aches & pains. It has cell regeneration properties & increases circulation. It is known for its anti-viral, antifungal, & anti-bacterial properties. Rosemary: Stimulating & energizing, increasing circulation, and it may help in decreasing, joint pains, muscle aches & spasms. Increases cell renewal & drainage, headaches,& nausea. May help fights infection & germs & head colds. Peppermint:Aids fatigue,nausea headaches,reduces inflammation & swelling from strains/sprains, calms & sooths muscles, relaxes tense muscles/spasms. Directions: Use on sore, tired, inflamed, over worked muscles, joints, inflammation & arthritic conditions. For sports injuries & after exercise. Use on feet to revitalize tired, sore, hot, burning, achy feet. Can also help with headaches/head colds with inhaling or in a bath. 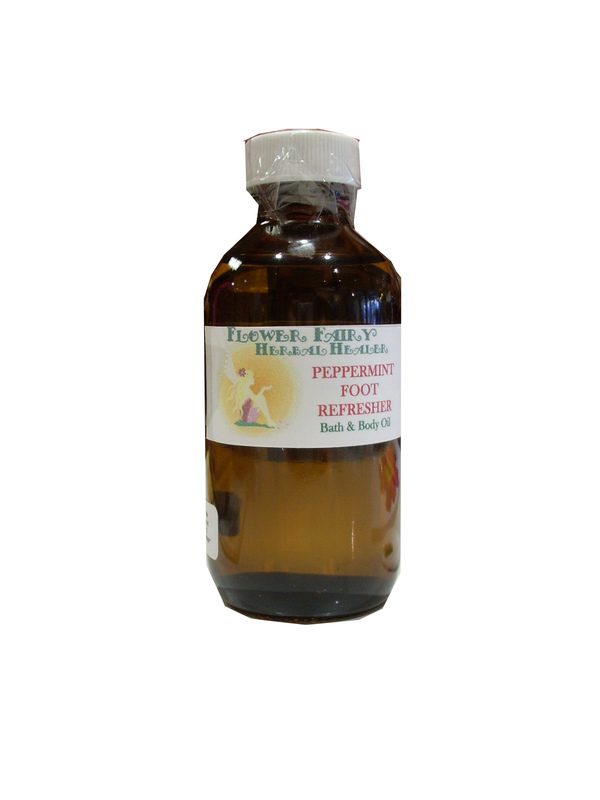 Ingredients:Eucalyptus, Rosemary, Peppermint Essential Oils, Sunflower Seed Oil, Jojoba Oil, & Natural Vitamin E.
Cautions: Avoid with High Blood Pressure/History of Seizures due to the cautions associated with certain essential oils.Avoid in pregnancy due to peppermints effects on slowing mothers milk flow.